Coming this fall... the dark side of jewelry designer Ippolita. 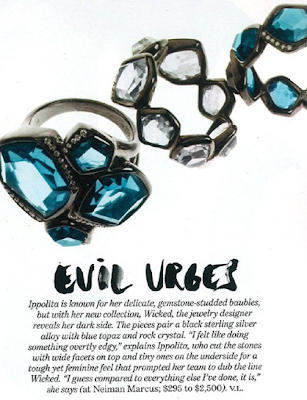 Dramatic and Edgy, love the black silver and chunky stones... totally Timeless Cool! Can't wait to add them to my collection.